Casing is close grain iron of 30,000 psi minimum tensile strength. Another feature is the back pull-out design eliminates the need to disturb piping should the pump ever require service – the casing stays in the line. Enclosed Bronze Impeller is of the latest hydraulic design while maintaining maximum efficiency. It is balanced as a result for vibration-free operation. It is precision fit to shaft with key drive and cap screw lock. Mechanical Shaft Seal. Standard self-adjusting shaft seal for temperatures up to 225°F (107 °C) and pressures to 150 psi (1034 kpa). Ceramic seat and carbon seal face for long trouble-free service. 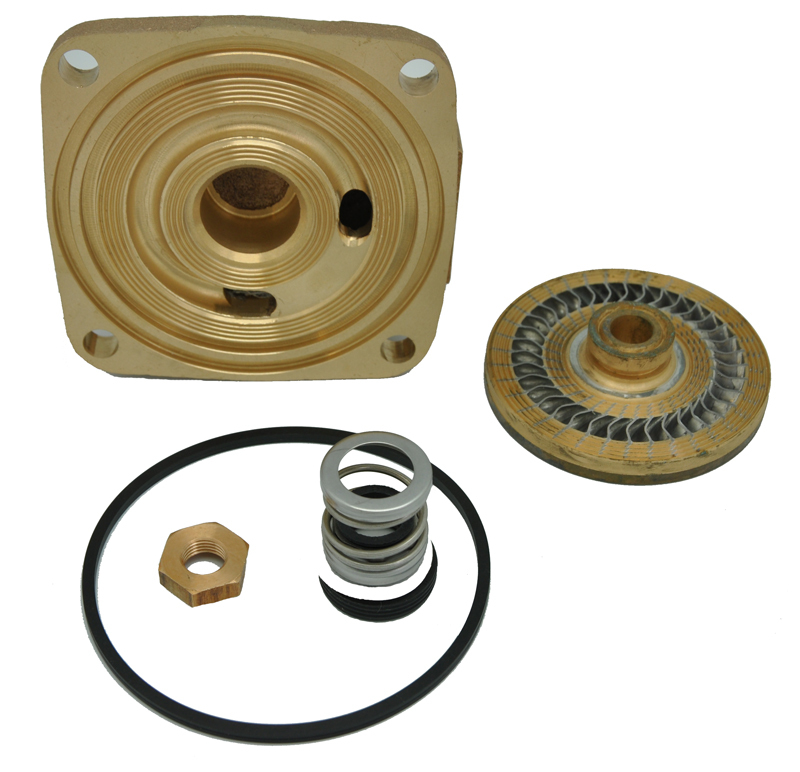 Special seals are also available for higher temperatures and fluids other than water. JM Type motors have NEMA standard mounting flange, in addition to extended steel shaft and dual bearings. 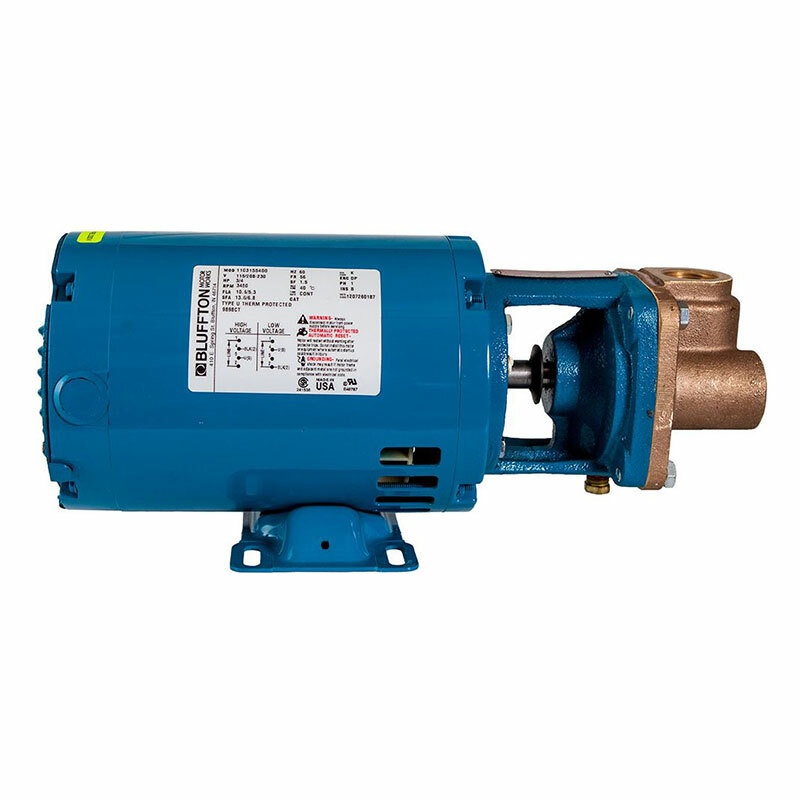 These motors also offer the advantage of quiet operation, controlled shaft deflection for longer seal life, and bearings sized to provide good service life. All motors are supplied by manufactures with national field service facilities. Flapper and check valves on the suction pipe are not required, but are recommended. Bronze Shaft Sleeve. Gasketed and keyed hook-type sleeve protects shaft from wear and corrosion in seal area. Factory tested. After careful assembly and inspection, EVERY pump is factory tested and will meet Hydraulic Institute standards. 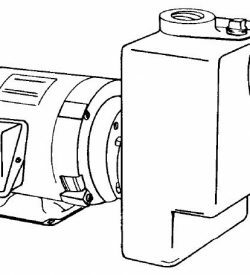 All motors must be installed with a magnetic starter which provides full 3-leg protection. Failure to use correct starter and overloads as a result, will void motor warranty.